I recently finished a project helping a CPG organization within a large retail company implement a product portfolio management process. The company as a whole tends to avoid developing business processes, but this CPG organization recognized the need for greater process discipline around its product pipeline and work in-take. Any endeavor to implement portfolio management can be difficult due to the organizational change component, but one factor that makes it easier is to communicate portfolio value. 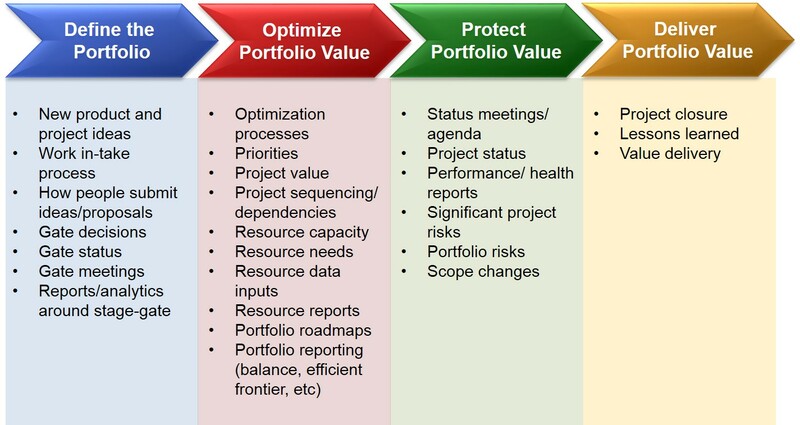 However, as it relates to managing organization change, to communicate portfolio value is to communicate how the portfolio process benefits the organization. Success stories must be shared to reinforce how new changes should be welcomed and adopted. Within the first few weeks of the new process, a project manager told his peers that the work in-take processes actually helped him determine that a new product he was about to propose was not a good project after all. He elaborated by saying that the extra rigor required him to ask tough questions about the value of the project, which led him to the conclusion that his proposed product was not worth bringing to market! Prior to a product portfolio approach, numerous project managers would have brought forth new product ideas with little governance or oversight. Now, with greater scrutiny over new product proposals, it was easier to determine early on whether a product idea was worth going after or not. This kind of testimony should be widely circulated throughout the organization to help communicate the value of the portfolio process. Another project manager approached me recently to share another success story about how his project team believed that making a change to a single product would result in a one-time costs saving of $100,000. However, as a result of the increased cross-functional collaboration required by the new Stage-Gate process, the project team discovered that these changes could be applied to an entire product line resulting in an annual savings of $1,000,000. This was a huge win for the team and is another success story to help the entire organization adopt the Stage-Gate/product portfolio process. To communicate portfolio value is not just about communicating the value of the portfolio, or of the individual project components in the portfolio, it also involves communicating the value of the entire portfolio process. This creates positive momentum for helping organizations adopt new processes, resulting in greater success in the future. Who in your organization manages portfolio communication? How effective is the portfolio communication at your company?